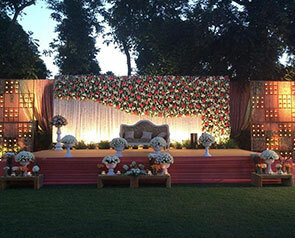 There's a reason the best wedding venues in Delhi are located in the Chattarpur-MG Road stretch. The site of many all-inclusive resorts, this area is one of the premium spots to be wed. 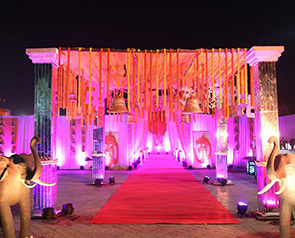 The majority of wedding venues in this area are luxurious air-conditioned Pandals that provide a romantic ambiance and complete privacy for your nuptial ceremonies. These have super-luxe options too, including lavish farmhouses that come with chefs, housekeeping staffs and security. What’s more, the area is home to many landmarks, historical monuments, shopping centers, & other sight-seeing places. 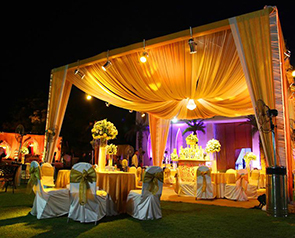 If you wish to plan a wedding where your guests can indulge in some leisure activities, then this popular choice is for you. Spacious farmhouses - Nestled in acres of greenery and whimsical foliage are umpteen luxurious, verdant farmhouses in this region. 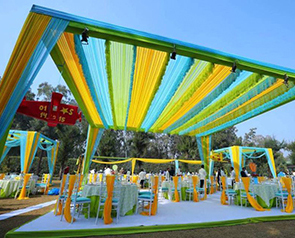 If you're planning a celebration that is big both in size and in drama, then you need an exterior setting like a lush green open lawn. 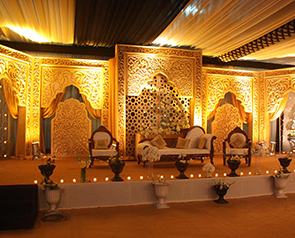 Air-conditioned Pandals – Why dwell on all the décor details, when pre-decorated pandals already await you? 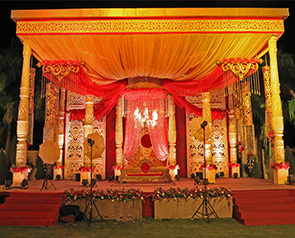 With lustrous chandeliers, rich drapery, illuminated panels, stunning floral work and magnificent interiors, these pre-built structures are the epitome of grandeur. 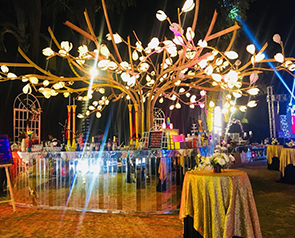 5-star hotels & resorts – The perfect destination for weekend wedding getaways where your guests can relax and rejuvenate in comfort. 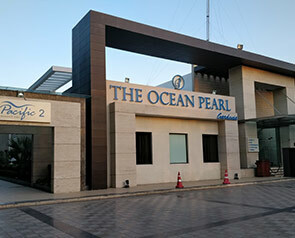 These hotels have all the latest amenities & facilities to make your stay a pleasant one. 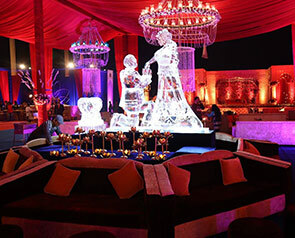 Moreover, their well-trained staff happily takes care of any small or large request your guests might have. 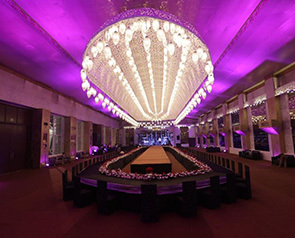 Opulent banquet halls - Taking you on a journey of sophistication and unique splendor, are the banquet halls in South Delhi. 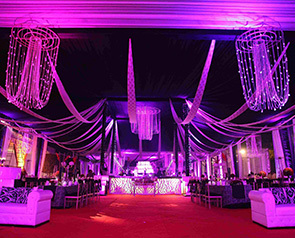 These offer a blend of world-class hospitality, elegant interiors, and an overall pleasant ambiance that enthralls your guests. 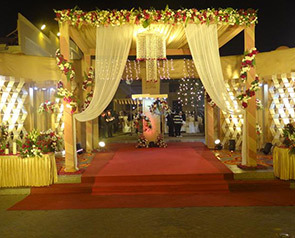 Each venue offers abundant space for parking with valet service. 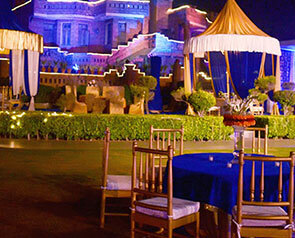 Now your guests can participate in the celebrations without worrying about their cars! 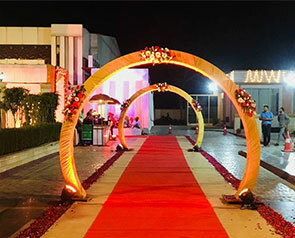 Close to the Delhi airport, these venues are perfect for any event where you will have weary, traveling guests. Especially, NRI weddings! 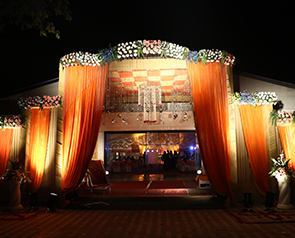 Surrounded by picturesque landscapes, each venue is a gem tucked in nature’s lap, & offers an invigorating environment where guests can relax and rejuvenate. Gift your guests the convenience of brief travels! 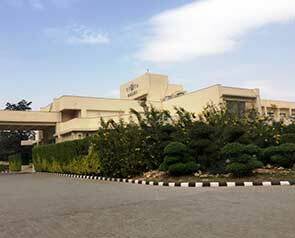 Located close to Dwarka, Gurgaon, & the capital, the NH8 belt provides easy access to major South Delhi areas.